PLUS SIZE EVENT: #ERZULLIEINALABANG TODAY! We’ll see you ladies later at the Christmas Holiday Bazaar, Cuenca Community Center, Ayala Alabang Village, Muntinlupa City! We will be there from October 5-6, 2013 (Saturday and Sunday; 9am-9pm). 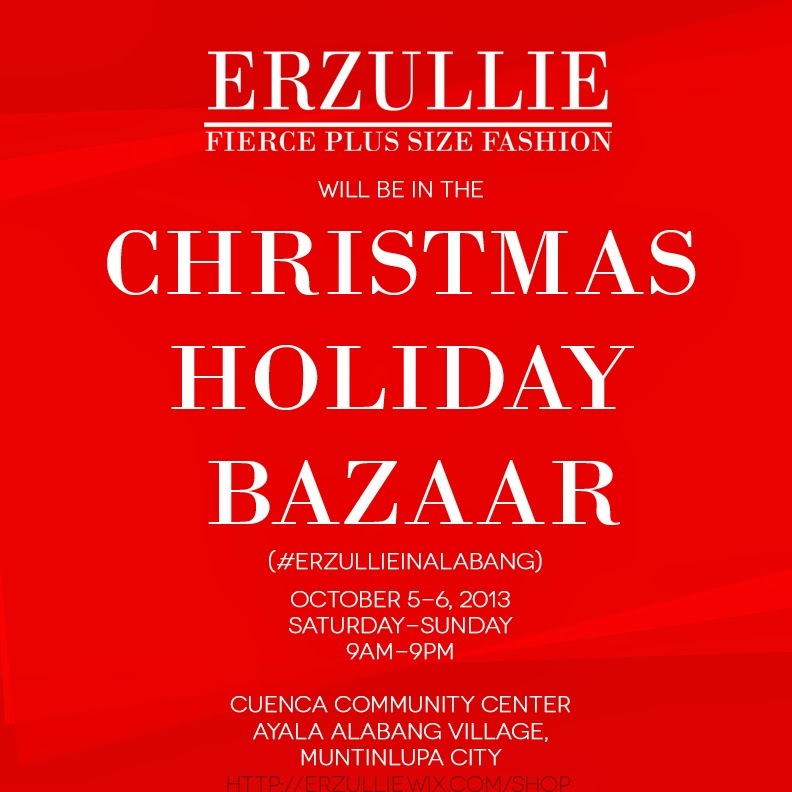 Erzulliestas will be enjoying some fierce plus size fashion experience, discounts and of course, the latest collections!